Lime will replace its entire pedal-bike rental fleet with so-called ebikes, like the one above. The traditional pedal bicycle is getting pushed out of town, at least for renters. Lime, the company that rents bicycles and scooters along sidewalks across the country, deployed hundreds of bicycles in 15 Boston-area suburbs about a year ago, including Malden, Chelsea, Watertown, and Arlington. Now, the company says it will only rent electric-powered models, called ebikes, which use a small motor to give riders a boost as they accelerate or go up a hill. 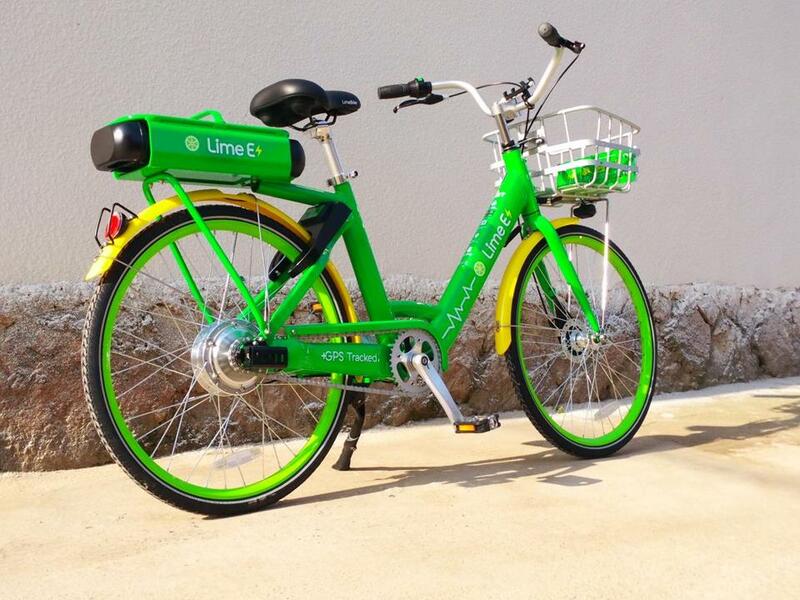 Lime began introducing the electric models to its Greater Boston fleet months ago, and will fully replace pedal bikes within a few months. Scott Mullen, Lime’s Northeast expansion director, said riders have rented the electric bikes at twice the rate of pedal bikes. But the switch will come with one big drawback for riders: the electric bikes are more expensive. According to the company’s app, they cost $1 at the start and 15 cents a minute, compared to $1 for 30 minutes on a traditional bike. Eric Bourassa, transportation director of the Metropolitan Area Planning Council, a regional agency that organized the bike-rental system, said the switch to an electric-only fleet raised concerns among activists and local officials that the increased cost will be too much for some low-income users. Mullen said riders who can prove they are on a government-assistance program are eligible for the company’s “Lime Access” program, which provides 50 percent discounts on the electric bikes. Since those riders were already eligible for a big discount on pedal bikes, however, the change to electric bikes still represents a price increase. Bourassa said it was Lime’s decision to phase out pedal bikes as a way to increase business. Meanwhile, it’s become increasingly clear that even electric-powered bikes aren’t Lime’s major focus anymore. The company recently launched their rental scooters in Brookline, the first community in the state to allow such a program. From now on, Lime will no longer rent bikes unless they can also rent scooters, which are ridden 14 times more often than bikes, he said. “We’re not launching new bike-only markets,” Mullen said.